Bancassurance which is one of the sales channels of both private as well as public insurance companies has posed serious problems for the bank customers who have blindly trusted all the promises and projections made by the bank representatives. With the entry of foreign and private banks into the personal finance sphere, the life insurance industry got a new opportunity to push insurance products to the large mass of bank customers and for the banks it was also a win-win situation as they could generate extra source of income at no extra cost as they can utilize the existing infrastructure and resources. With the low penetration of insurance in India, this was no doubt a welcome move but the end result that it generated or is still generating was far from the expected lines. The relationship managers have access to the savings and current accounts of customers and so can have an idea about what can be surplus funds lying there based on the inflow and outflow of cash. The clients very often walk in to the banks for their day to day transactions and for HNIs, the RMs even visit the office and residences of the customers. The RMs held a position of trust as they were representatives of the bank and the customers blindly believed their sweet-talks and tall promises. A recent article from one of the leading personal finance magazines published some confessions from the ex-RMs that exposed the ugly nature of operations carried out by these financial institutions. We put forward some excerpts from the magazine and also provide you probable solutions to counter future attempts. Selling regular premium policies as single premium – this is a common practice by banks when a customer expresses his/her desire to invest a sum say for a year or one time basis. As the customers rarely check the policy documents on receiving the same – the salespeople take the chance of pushing a regular premium policy under the veil of single premium policies or FDs. The customer usually becomes aware of the mischief only when he gets the call for renewal premium next year. The best solution for countering this issue is to check the policy documents immediately on receiving and cancel the policy in free-look period if the terms are not aligned with the proposal. Selling inappropriate products to conservative investors – People with a conservative investment profile or those approaching retirement have been sold products like ULIPs with promises of hefty returns and without proper disclosure of the risks associated. Many of the customers have to surrender the policies prematurely and suffer losses. The bank RMs sold the policies with promises of almost double returns over a 3-5 year horizon without even giving a hint of the fact that there can be a reversal of fortunes also in case the markets turned unfavourable. The best probable prevention to this mess is the fact that you have to bear in mind the old saying “Buyers Beware”. Always ask for the product brochure and ask for the benefit illustration which has the insurance company logo on it and don’t believe the figures given on a plain sheet of paper. Also, on receipt of the documents crosscheck the same with illustration provided at the time of solicitation as the cheque issued is usually in the name of the insurance company and not the name of the plan you want to buy. Coercing of investments – Many of the banks have now come out with new ideas to coerce the client to buy insurance products from them. They create artificial shortage of lockers and say that they can oblige the client only when he/she is ready to buy insurance from them and the product choice is also not left with the client. Some banks also don’t disburse loans to the borrower if he declines their proposals to buy insurance. This coercion can be averted only if the client is ready to change banks or make a complaint to the concerned authorities in the existing bank. The client with an urgent need for a loan or a locker becomes easy prey for the bank officials. NRIs are Soft Targets – According to the confessions made by a few RMs the NRIs are among the most vulnerable because of tight schedule and distance. Some RMs even go to the extent of forging the clients signature to buy policies and transfer money through the ECS option. At the most they might inform the NRI that they will be making a “profitable” investment on his behalf and as most NRIs don’t ask a lot of questions helps the RM’s cause to a large extent. Some of the banks also used a blatant lie to get the NRIs sign on the dotted lines ie. free repatriation of local funds on maturity. On many occasions, the RMs have issued policies as residents even in absence of a passport. As a result, these clients couldn’t repatriate the corpus on maturity. According to them people working in BPO, IT industry and even army personnel were sometimes soft targets. The NRIs should ideally make prudent decisions after asking the RM relevant questions and going through the product in the website or ask for a softcopy on mail. 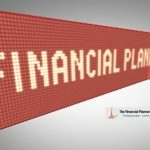 If he has given a specific POA to deal with his financial matters, he should consult him or get in touch with a Certified Financial Planner who can guide him and provide the solutions. Recourse Mechanism – The bank customer on initial detection of the issue with his investments goes to the Bank but the institution is actually no more than an agent of a life insurance company. Moreover, in many cases the RM who has sold the policy may not be holding a license to sell it and as they can leave the job you may not find them in their previous positions and the new RM will shrug off the wrongdoings by his/her predecessor. The customer has to deal with his complaints with the insurance company initially then address the ombudsman if he is not satisfied with the outcome. Our suggestion is that you should go through the fineprint before deciding on any investment through the bank channel. « Reverse Mortgage Loan- a last resort retirement plan! Nris are taken for a ride for a ride by relationship officers of private banks. Because of their frequent platform change and rush for revenue at cost of brand Image,HNI has started looking for CPA ,CFP,CFA and Unbiased Wealth Advisors. Opportunity for organized IFA. RMs consider the clients only as part of their targets – nothing more. Client interest takes a back seat. The IFAs consider the client goals while advising.